So, the last year I have been on a mission to play all the games and the other day I got another one off my list. The game in question is Tales from the Loop. A game I helped kickstart a while ago and forgot about until it arrived in my mailbox the other day. 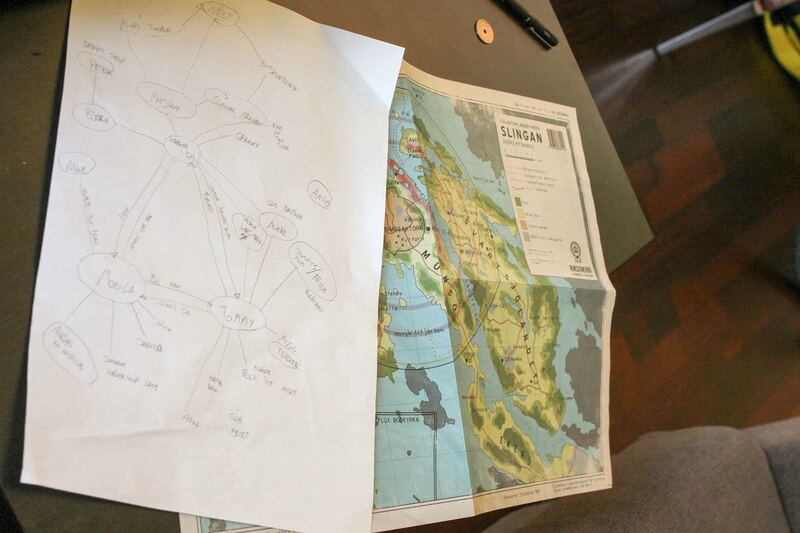 When I initially took part in the kickstarter I almost backed out because it seemed like a game I would have a hard time playing as the strange little concept that it is. What one me over was the gorgeous artwork. Honestly I kind of thought that this game might not be played, at least not quite so soon, but on opening the book I was sold. Fria Ligan: Tales from the Loop. 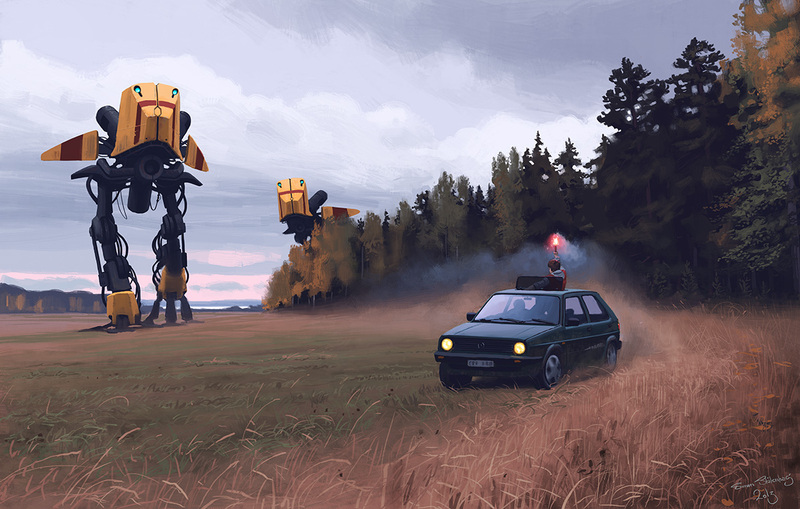 Art: Simon Stålenhag. Frialigan.se. I think this is a lovely and telling sentiment as to what the game does. At the same time, it lets you tap into the playfulness and curiosity of being young in a world with a lot of strange things going on. The art in the book and text really is very good at making this come real very easily for the storyteller and players alike. 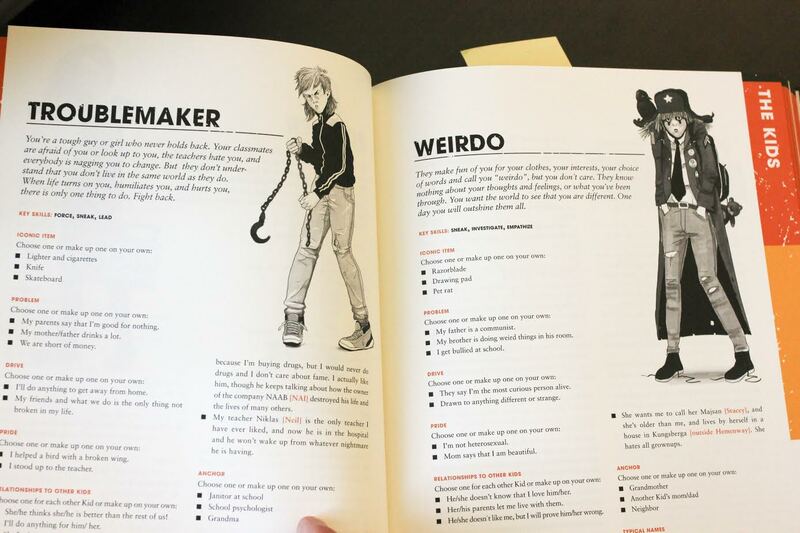 The character creation is sharp in bringing both the feeling of who the character is by including good roleplaying hooks about the character’s problems and pride. You even get to choose your character’s favorite song. Overall the character creation is amazing at making you hit the ground running. The system is pretty simple and doesn’t get in the way most of the time. Basically you have four attributes and twelve skills which you use to get a dicepool of d6’s equal to relevant attribute + relevant skill for the situation at hand. Every six you get on a dice is a success, and for most tasks one success is enough to succeed at whatever the kid is trying to do. Generally, I think this is a really good stab by Free League at integrating some of the «tech» from U.S. indie games into their D6 pool system. It ends up being a good mix of a focused play experience aimed at making stories about young adult/kids between 10-15 solving mysteries (much in the style of Stranger Things), and a solid setting based on Simon Stålenhag’s work. 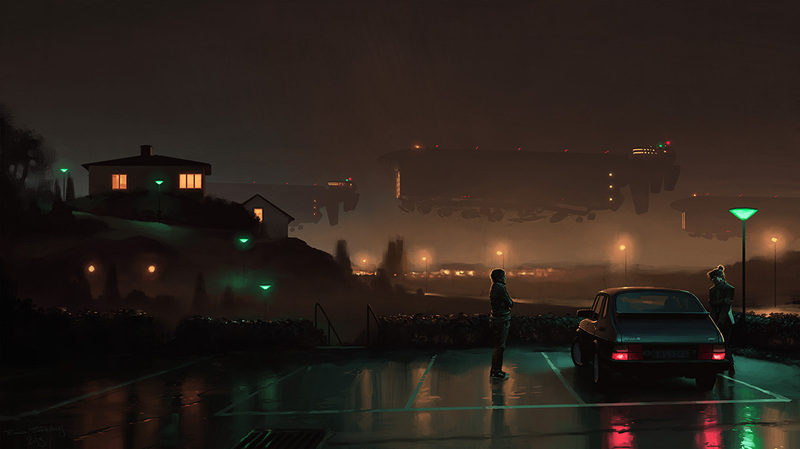 Turns out that mixing a really well written setting with playbook-like elements inspired by Powered by the Apocalypse games makes Tales from the Loop a quite enjoyable roleplaying experience. In fact I’d say that it excels at telling stories about dynamic young adult characters in a very vivid environment. There is even some structure for scene setting as a good Scandinavian element (or something I recognize from local traditions). In conclusion, I think this game is really good! I love it! In fact I will take it with me to my hometown and play it with my childhood friends to relive some of the wonder of being a worry free kid on adventure. Until then I will keep the memory of seeing Ida the gang’s weirdo, Tommy the rocker and Monica the designated troublemaker, discovering what was going on with the talking pigeons with me as a very fond roleplaying experience. Judging by my player’s constant giggling and gasping, they will too.